Wine Vinegar, Concentrated Grape Must, Cooked Grape Must, Caramel Color, Antioxidant: Sulphites. Kraft Original Cream Cheese Spread always starts with fresh milk, blended with real cream, and goes fresh from the farm to our creamery's fridge in just six days. That's why Philadelphia is so creamy and delicious. Tostitos Cantina Thin & Crispy Tortilla Chips.Tostitos, cantina, chipotle, restaurant style salsa.Bring the fiesta home. Huggies Snug & Dry* Size 4 Diapers.New!Up to 12 hour protection.With 4 layers.Leak Lock.Disney body.22-37lb 10-17kg. Pompeian Extra Virgin Olive Oil. 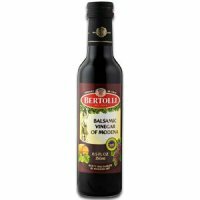 This olive oil is extremely low in acidity and has a full-bodied taste perfect for marinades, pastas and salad dressings. Plus, this is the first olive oil to attain the USDA Quality Monitored seal, which verifies that it meets the rigorous quality, purity and traceability requirements. It is also certified Non-GMO. Snack Packs: Store mid-day snacks like fresh cut fruits, veggies, chips or pretzels in Ziploc sandwich bags. Gift Giving: Put goodies like candy, cookies, or desserts in a Ziploc sandwich bag, add a bow, and give it as a small gift. Travel Companion: Pack your bottles in Ziploc sandwich bags to help prevent any surprise leaks! Huggies Natural Care Wipes for Softer Sensitive Skin.Fragrance Free. Hypoallergenic.Softer for Sensitive Skin.Softer Triple Clean Layers for a Gentle Clean.64 Wipes. Lipton Recipe Secrets Onion Recipe Soup & Dip Mix. Siggi's Strained Non-Fat Raspberry Yogurt.Icelandic style skyr.0% milkfat.11g sugar. 14g protein. 110 calories.Grade A.
Breakstone's Sour Cream Reduced Fat.Established 1882.40% less fat than regular sour cream.40 calories per 2 tbsp.See nutrition information for saturated fat content.Real.Grade A.Pasteurized. Premium ingredients coupled with our time tested and perfected smoking process allow us to deliver consistent quality and flavor to you. To ensure the sustainability of the Alaskan fish stocks we use MSC-Certified salmon for all our Wild Alaskan Salmon. Strong, flexible. 8.33 yd x 12 in. Freezing, storing, wrapping, cooking, general use. Quaker Flavor Variety Instant Oatmeal.Energy counts.3g fiber.160 calories.26g wholegrains.Maple & brown sugar.Naturally & artificially flavored.4 packets.Cinnamon & spice.2 packet.Apples & cinnamon.Naturally & artificially flavored.4 packets.Heart healthy.Per packet.160 calories, maple & brown sugar.160 calories, cinnamon & spice.160 calories, apple & cinnamon.10 packets.Diets rich in whole grain foods and other plant foods and low in saturated fat and cholesterol may help reduce the risk of heart disease. 10% Fruit Juice Includes 8 Each Orange Pineapple, Grape and Fruit Punch. Lifeway Kefir Cultured Lowfat Milk Smoothie Plain Unsweetened.Probiotic 99% Lactose free.Vit A&D.No sugar added.Calories 110.12 Live + active probiotic cultures.Protein 11g. 1/2 The fat and calories of mayonnaise. Per serving: This product - 45 calories, 4 g fat. Mayonnaise - 90 calories, 10 g fat. Sensible Solution. 0 g trans fat, 0 g saturated fat, (4 g total fat) per serving. Made with premium cocoa and fresh milk. Indulge your chocolate craving. Made with a signature blend of premium cocoa and fresh milk, Swiss Miss hot cocoa is the smooth, creamy way to indulge your chocolate craving. 32 bite size approx. Perfect for appetizers. Fully cooked. Just heat & serve. Caramel coating. Made with beef, pork & turkey. US inspected and passed by Department of Agriculture. Pepperoni pizza in a seasoned garlic crust. Per serving: 7 g fat; 280 calories; 12 g protein. Low fat mozzarella & reduced fat pepperoni with sauce in a seasoned garlic crust. Good source of protein. US inspected and passed by Department of Agriculture. Weight Watchers points 6 per sandwich. Enjoy the satisfying delicious flavor of Lean Pockets brand pepperoni pizza in a seasoned garlic crust. This delicious combination of reduced fat pepperoni, sauce, and low fat mozzarella wrapped inside a crisp, seasoned garlic crust is a good source of protein. So enjoy one of your favorite foods, pizza, and take a step towards a better you! It's good to know. Good to remember! Not all proteins are created equal. Choose protein sources such as beef, pork, poultry, dairy and eggs as part of your balanced diet. Since 1866. Good to know! This Lean Pockets brand sandwich contains 12 g protein and is a good source of protein. Celestial Seasonings Peppermint Caffeine Free Herbal Tea Bags.100% Natural Teas.20 Bags.Net wt 1.1 oz (32g). Earth's Best Organic Stage 3 Spring Vegetables & Pasta.9 months+.USDA organic. Naturally & artificially flavored. Bakes up bigger! Home is calling. Lays barbecue chips add the BBQ flavor you love to the well-known favorite potato chip. From the everyday to the instant get-together, enjoy the moment with these deliciously fresh-tasting and crispy potato chips that have been a family favorite snack for nearly 75 years. These big bags are great for sharing some delicious fun at home.